Adorable update! I love the color. So cute! Amazing color. It came out great! Very pretty! But I must admit I'm a little heartbroken you've painted it. 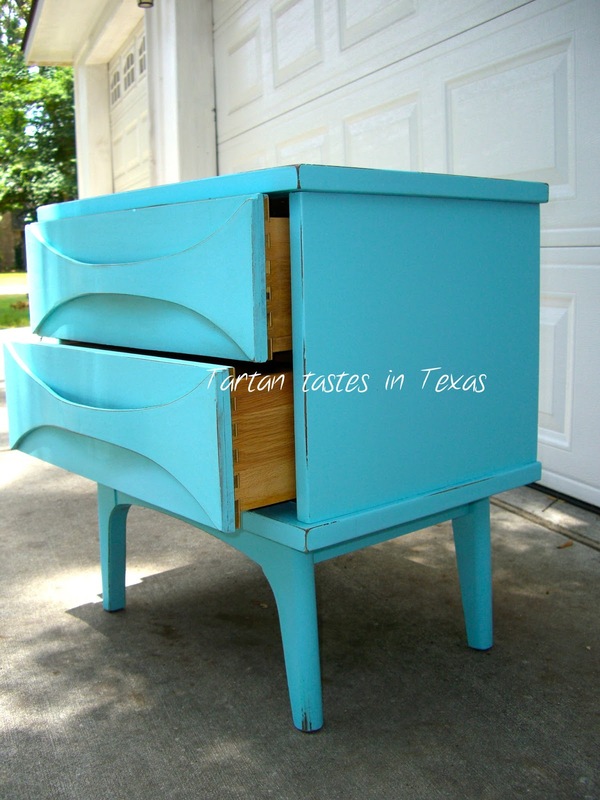 I love saving and reviving mid century modern furniture. 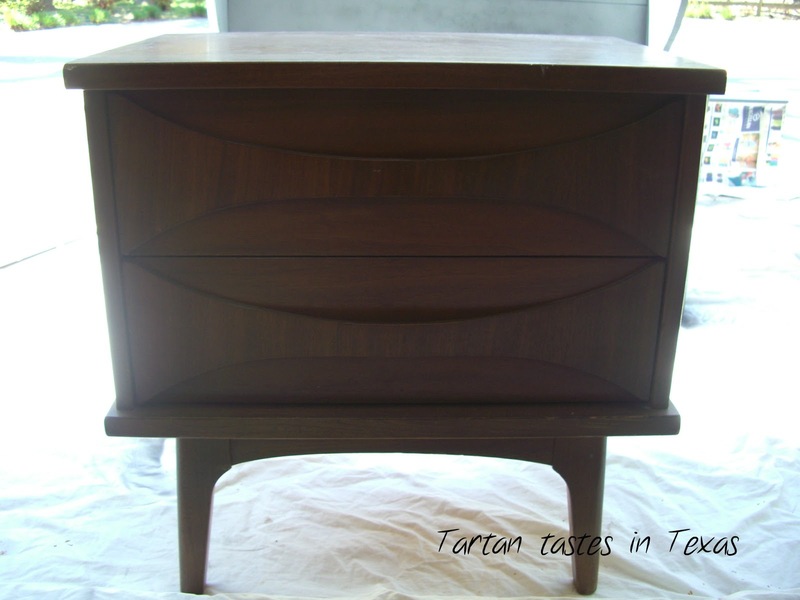 Their solid wood construction is so easily brought back to life. To each their own of course. 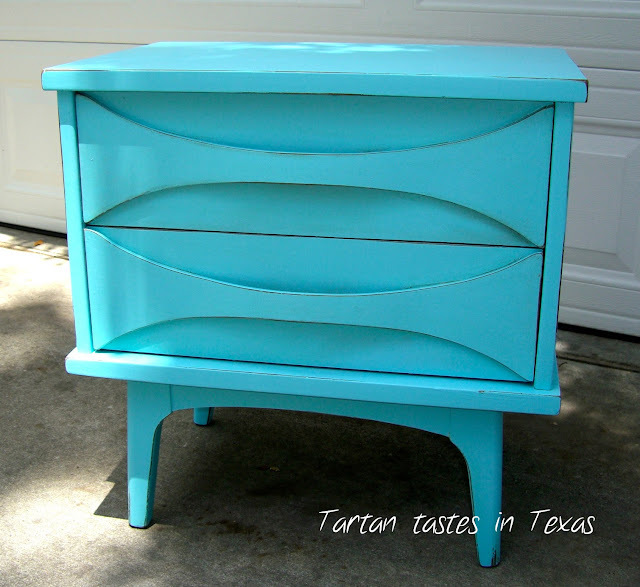 I am totally loving that pretty aqua, it looks great with the retro curves of the drawers. If it had to be painted, I don't think it could've looked any better! What a great pop of color! 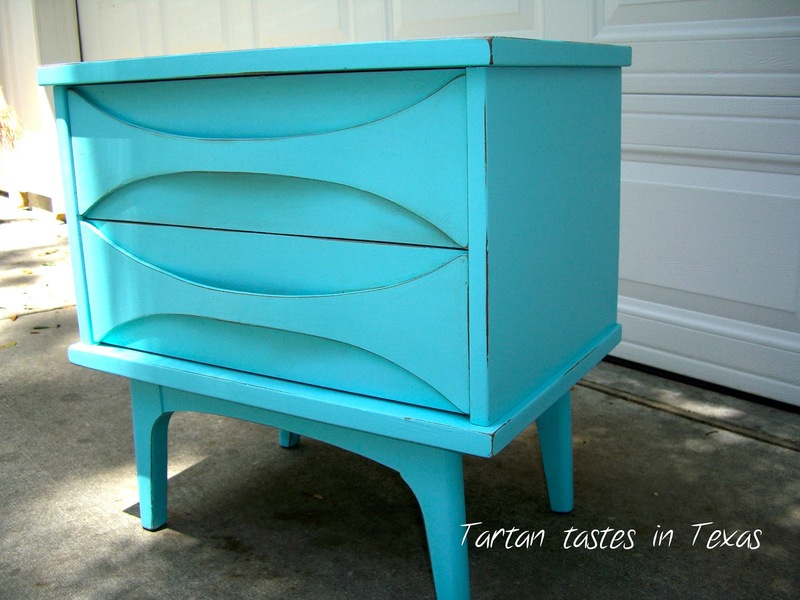 I've been thinking about painting my tv stand a color like this. What paint did you use? stopping by from Marvelous Monday! 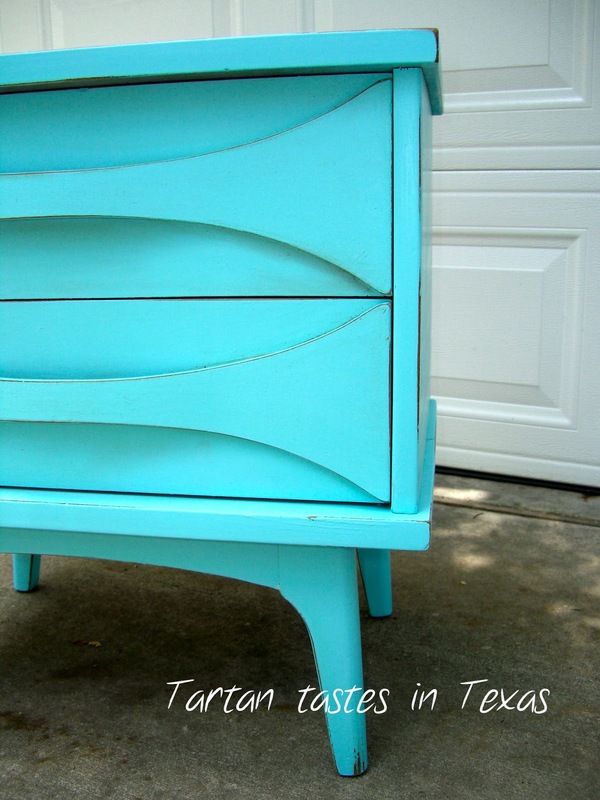 I love the color, it lighten up the whole piece! I would love for you to come link up at my Furniture and Paint Party start tomorrow @ 8PM MST! Hope to see you there!